Everyone’s favorite psychopath with a heart of gold is back! This time in her own solo comic series, Harley Quinn has broken up with Mister J. She’s out on her own and ready for action. 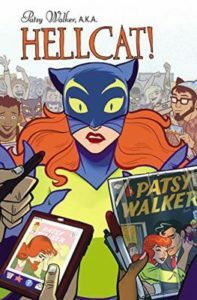 Follow her adventures in the city as she wreaks havoc on its citizens with the best of intentions (ranging from saving animals from euthanasia in an animal shelter to landing a job in a nursing home as a counselor). 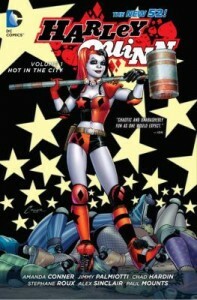 Check out Harley Quinn: Hot in the City today. Hang on tight, you’re in for a wild ride! Gerard Way and Shaun Simon’s piece is not your run-of-the-mill graphic novel; its story chronologically takes place after My Chemical Romance’s album: Danger Days: The True Lives of the Fabulous Killjoys. That’s one of the best parts about it! 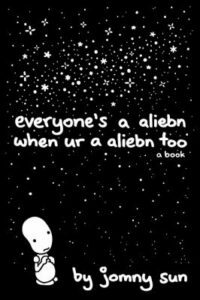 Since its precursor was a music album, as you are reading through it, there are references to MCR’s lyrics and you can actually hear what some characters are intended to sound like. As you’re reading Dr. Death-Defying’s lines, his voice appears in your head like magic. 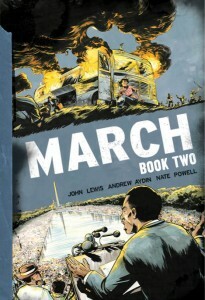 It’s a surreal experience to have when you’re reading a graphic novel that doesn’t have a TV or movie adaptation! The True Lives of the Fabulous Killjoys is a great read for anyone who is (and even isn’t) a My Chemical Romance fan. It makes a wonderful accompaniment to Danger Days but stands on its own as well with no pre-knowledge of the music. 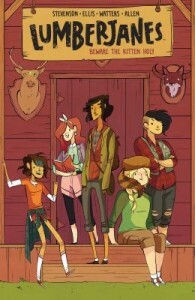 It’s a coming-of-age story about a young girl who was previously under the protection of the Killjoys. 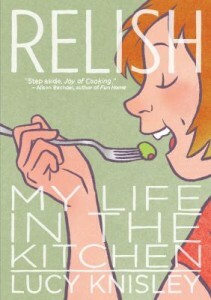 After their deaths in Danger Days, she struggles to find her place in the unforgiving world she was left in. Why were they protecting her? What was it about her that made them so willing to risk their lives? 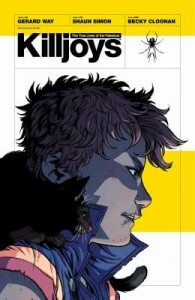 In The Fabulous Killjoys, the reader finds the answers that they are seeking and so much more. 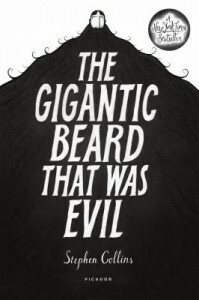 Beautifully illustrated in a black and white minimalist style, The Gigantic Beard That Was Evil by Stephen Collins is a well-considered and hilarious satire of normalcy and keeping order. Katie’s restaurant has been doing really well, but it no longer feels like hers with all of her original staff gone. Looking for a new adventure, she plans on opening a second restaurant, but things are moving pretty slowly and she keeps wondering if she should have chosen somewhere else to build. When one of the waitresses in her current restaurant is badly injured, Katie is visited by the resident house spirit, who gives her the power to restart her day and give her a second chance. The rules are simple: 1. Write your mistake, 2. Ingest a mushroom, 3. Go to sleep, 4. Wake anew. The spirit gave Katie only one mushroom, but when she finds more beneath the floorboards, she tries to reset all her mistakes, including her restaurant location and her last break-up, but things get out of hand quickly. 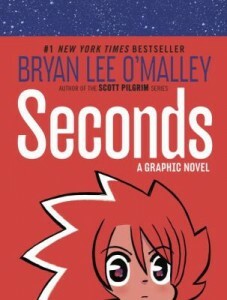 The art in Seconds is adorably unique and fun, with lots of dynamic and entertaining characters. 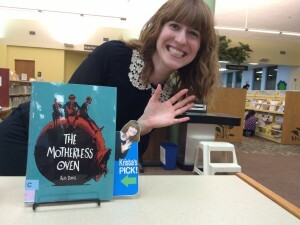 I greatly enjoyed Katie’s story and the mythology behind the house spirits and their connection to space-time, giving this book both a supernatural and science fiction feel. Readers of Brian Lee O’Malley’s Scott Pilgrim series should also look closely – there’s a few Easter eggs hidden in the panels for them!